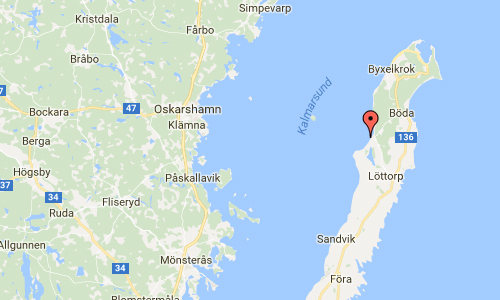 Byrums raukar are located near Horns kustväg in Löttorp on Öland, Sweden. 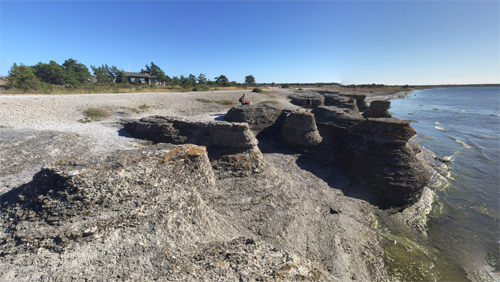 Byrum’s raukar are a geological formation of a group of stacks (Swedish: raukar) on the western shore in the north of Öland, Sweden (the island forming the Kalmar Strait with the Swedish mainland) near the village of Byrum. 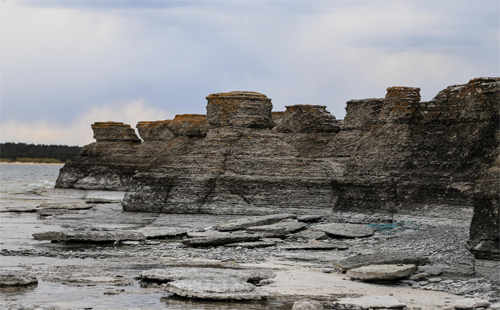 The group consists of about 120 limestone stacks, rich in fossils, of up to 4 meters high on a 600-meter stretch of beach. 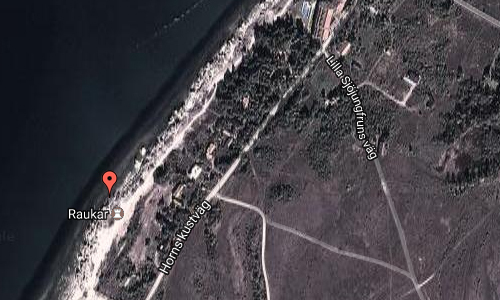 The area is about 3 hectares large, is a Natural Monument III and a nature reserve since 1935. 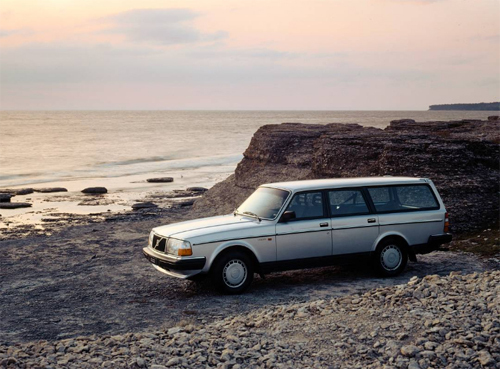 At Byrum you find Öland’s most famous and best shaped rauk area. The peculiar stone statues have been chiseled out over millions of years by the ocean’s constant movement against the limestone. For 490 million years ago was the land mass that Öland belongs to at the height of the southern tropic, in a tropical climate. Lime Sludge began deposited in large coral reefs in warm, shallow seas. 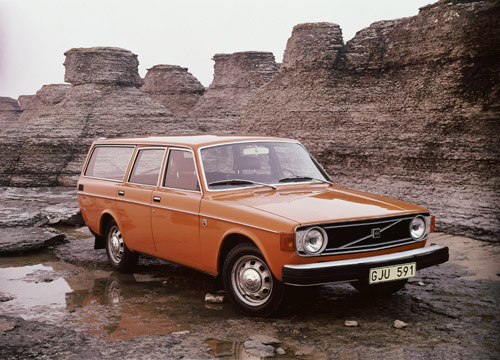 For a long time the coral reefs was pressed together under high pressure and the limestone of Öland was formed. Researchers believe that it took 1000 years of lime precipitation to form a millimeter of todays limestone. 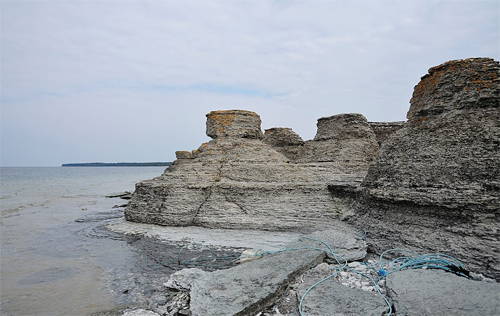 The thickness of the limestone layers on Öland generally amounts to 40 meters, which means that it took 40 million years to form the limestone bedrock on Öland. Due to the different contents of the clay minerals the hardness of the limestone varies. Rauks at Byrum were formed when softer limestone eroded away by wave impact and left behind stone statues (Rauks) of harder limestone. The area at Byrum is rich in fossils. Fossils are dead prehistoric animals that has sunk to the ocean floors and been embedded in sediment. The sediments have been compressed during a long time into a rock, in which the animal forms is preserved. At Byrum occurs fossils of the Trilobite genus Asaphus occurs so plentiful that it lent its name to one of the layers of the limestone. Remember, it is forbidden to gather fossils! You may only enjoy them on the location! More information at visitoland.com, www.alltpaoland.com and sv.wikipedia.org.